﻿ Real Madrid 3-2 B. Dortmund. Going through to the knockout stages! 06.12.2017 » Real Madrid 3-2 B. Dortmund. Going through to the knockout stages! 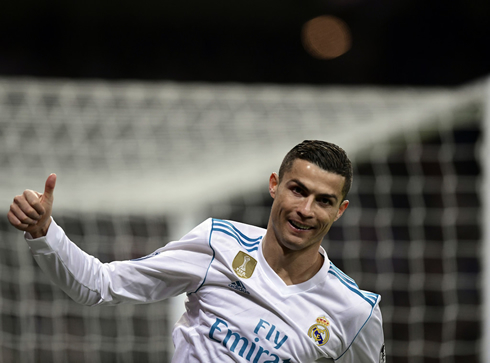 Real Madrid confirmed their passage to the Champions League knockout stages after beating Borussia Dortmund by 3-2 this Wednesday night. Mayoral, Cristiano Ronaldo and Lucas Vázquez scored a goal each for the Merengues. In a season that's been up and down, to say the least, Real Madrid ended their group stage with a 3-2 triumph over Borussia Dortmund, securing them a 2nd place in the group only behind Tottenham Hotspur, who ran off 3-0 winner over APOEL. 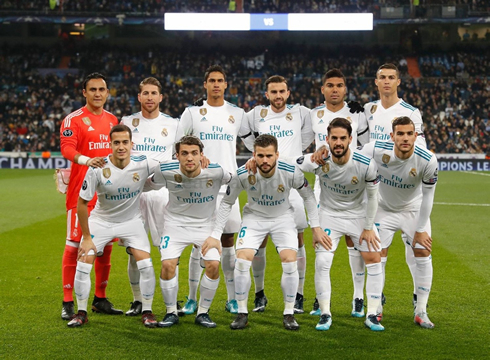 The Merengues will now be forced to face one of the other group winners in the upcoming knockout stages, as they prepare to defend their crown of European champions. Next Monday (December 11), Real Madrid will get to know their opponent's name, who could be any of the following: Manchester United, PSG, AS Roma, Liverpool, Manchester City or Besiktas. Despite, his poor form in La Liga, Cristiano Ronaldo just broke a longstanding Champions League record by becoming the first player ever to score in each of the six group stage games. His brilliant curling strike in the first half made it 2-0. What a season it's been in Europe's toughest competition for Ronaldo, who seems to thrive during these European nights. That's nine, yes count it NINE goals in only six group stage matches. At this rate, a lengthy run in the knockout stage could have him break his record of 17 again in the Champions League, though Real Madrid's form has left so much to be desired it seems unlikely they'll be able to muster enough to go far in the tournament this time around. The January window will be crucial to Madrid's success for the rest of the season in that regard. Festivities aside, the night still reared a lot of the usual problems for Madrid. They jetted off to a 2-0 lead after Mayoral's opener and Ronaldo's second, but Pierre-Emerick Aubameyang was able to equalize for the German outfit with a header late in the first half and he tied it all up in the second after a mix-up at the back. Lucas was able to put away the game late in the match, as Madrid won 3-2 but Dortmund are not part of Europe's elite this season and Madrid are still far from where they need to be if they intend to compete for any trophies this season. Furthermore, Raphael Varane limped off with an injury which makes the weekend test against Sevilla a far more challenging affair than it already was. But for Ronaldo, any goals are a good sign as he looks to regain his confidence. Madrid aren't quite dead yet and there is still a lot of time left in the season. Cristiano Ronaldo next game for Real Madrid is on December 9 of 2017 against Sevilla. You can watch Juventus live stream, Real Madrid vs Sevilla, Villarreal vs Barcelona, Manchester United vs Manchester City, Tottenham vs Stoke City, and Newcastle vs Leicester City, all matches provided from our sports live game pages.